The blessing, or curse, of these afternoon (evening EDT) games is that the Dodgers have already lost before the coals of the backyard barbecue grill are even fully heated. By 7p PDT, the Dodgers were indeed already cooked, having been shutout by Pittsburgh starter Jeff Locke, who gave up two runs over seven innings. Locke, it stands to reason, realized that this was a pretty shoddy opponent. And thus dispatched us quickly. 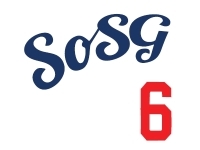 Let's talk about the highlights: Brute 66 Yasiel Puig had two hits. Of six total by the team. Let's talk about the lowlights: this team is so horrific, it's beyond even the worst nightmares. 10 games under .500, weeks before the All-Star Break? We're getting our kicks, all right. Right in the nuts. 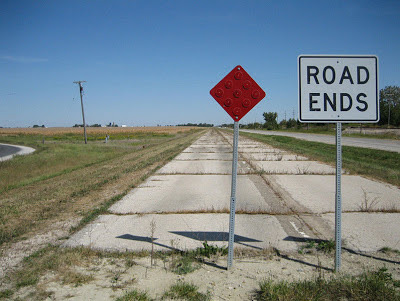 photo taken from (supposedly) a real part of the original Route 66. Yikes. Diamondbacks lose. This division is the only one that is really winnable. Just not by us. And we were having such a fun day with the Dodgers Tweet. Thanks for the buzzkill boys. Guess if Donnie was the manager we would have scored -1. The baseball gods have us bent over the rail at this point.